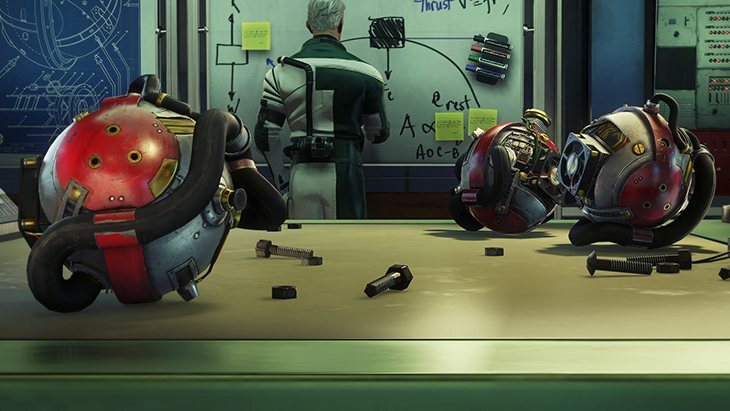 Welcome to the Hardware Labs aboard Talos I. It’s here that many of the station’s gadgets, gears and weapons have been built. 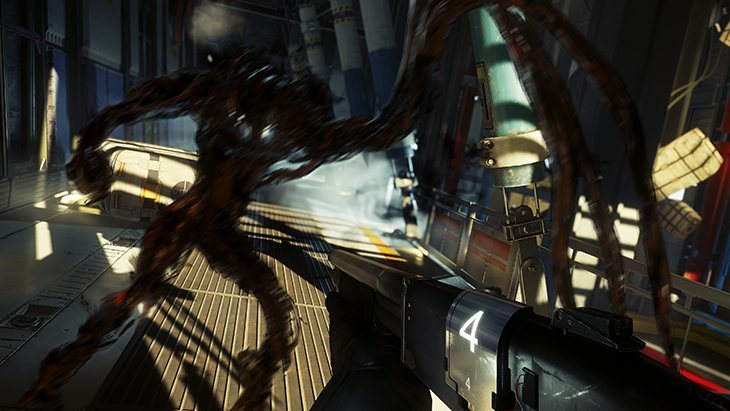 Take a look at just a few of the items you’ll have at your disposal when facing the alien threat in Prey. These aren’t the only items you’ll be armed with as you take on the Typhon. Along with a wide range of abilities (both human and alien), Morgan Yu has a full arsenal of killer gear. 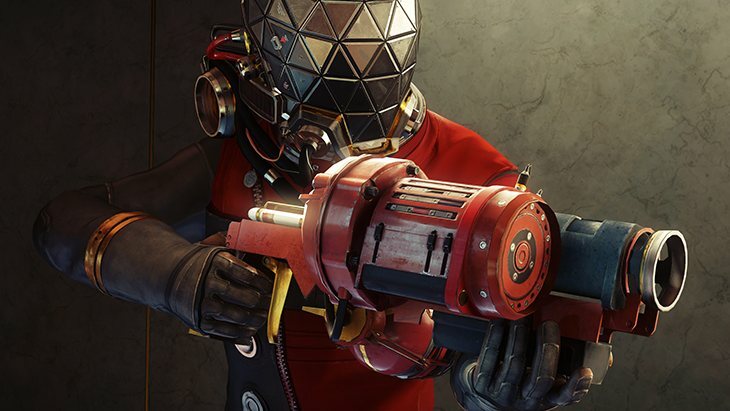 From his simple wrench to a powerful shotgun to more exotic devices, Morgan has more than enough options to suit his needs. 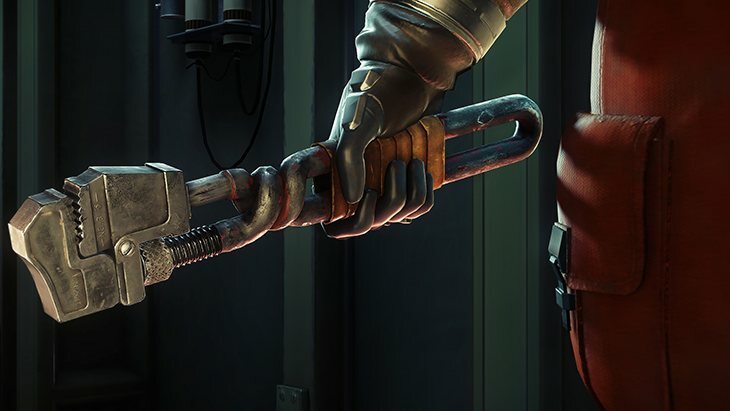 It might be your first weapon, but don’t dismiss the Hephaestus "Heffy” Twist and Loop Handle Industrial Wrench just because it’s decidedly lo-fi. "You’ve got to have your melee weapon,” says Creative Director Raphael Colantonio. "It’s also your fallback weapon.” In other words, this blunt-force tool is bound to come in handy during those moments where you’re short on shotgun shells, your psi energy is too drained to use any of your powers, and you’re desperately scrabbling to get to the next room to scrounge up more resources. Speaking of shells, the S4 Tactical Pump Shotgun is a powerful close-quarters weapon, and the PPN silenced pistol works great on smaller Typhon like the Mimics. Also useful: the Disruptor Stun Gun, a non-lethal option that not only damages mechanical foes but can temporarily disable some Typhon. "You can also use the Disruptor on human enemies – especially those under the spell of a Telepath Typhon – if you want to spare their lives,” says Colantonio. The Typhon Lure comes in handy when trying to uncover any hidden Typhon – or when tackling too many Mimics at once. The Lure’s psycholuminescent light attracts Typhon, drawing them together… and away from you. Once they’re entranced by the Lure, they’re easy pickings. The TranScribe is your connection to all things aboard Talos I. A standard-issue item for TranStar employees, the TranScribe lets you communicate with others aboard Talos I, look over notes you collect around the station, and keep a tab on your inventory. It’s also how you manage your abilities – both human and Typhon. Another essential item that you’ll fabricate early in your time aboard Talos I, the Artax Propulsion System can be attached to your uniform and allows you to navigate through zero-G environments both within and outside of the space station. "It’s even useful in in normal gravity because it produces enough thrust that you can do some jump-gliding maneuvers,” Bare says. And perhaps one of the most important items is the Psychoscope itself. The key to unlocking alien abilities, the Psychoscope measures paranormal brain activity. The catch: You can only scan the aliens while they’re alive – and a living Typhon is a hostile Typhon. But even if you opt to stay full-human and not install any alien powers, the Psychoscope is still helpful. "The biggest benefit of scanning Typhon is unlocking the powers, but it also reveals some interesting backstory and some Typhon vulnerabilities,” Bare says. Talos I might be a dangerous place, but with these weapons, gadgets and gear at your disposal, you’ll have a fighting chance against the Typhon threat. 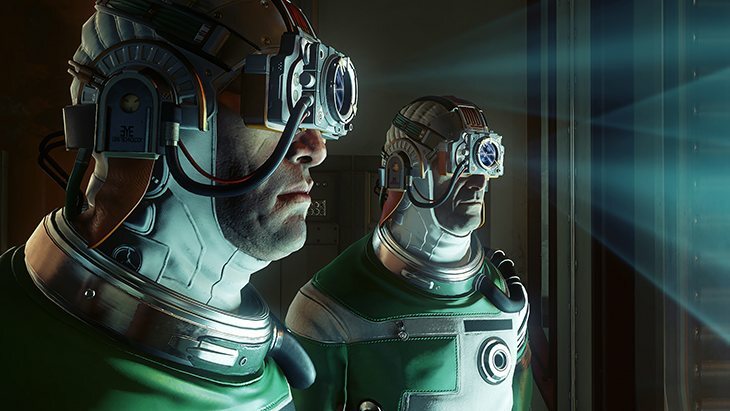 There’s much more aboard the space station as well – from unlockable alien abilities to weapon/gadget upgrades to fabrication plans for a wide range of items – but that’s for you to discover when Prey releases on May 5, 2017 on PlayStation 4, Xbox One and PC.